The linchpin detaches within physiological conditions and provides unique reactivity for the installation of a probe of interest. Any machine is an assembly of multiple well-designed and organized components. Their smooth handling requires an understanding of the architecture and toolbox to tune the functions. Likewise, proteins are one of the most important components of the human body or bio-machines. If we can learn how to engineer proteins with high precision, it could provide a tremendous boost to precision therapeutics. 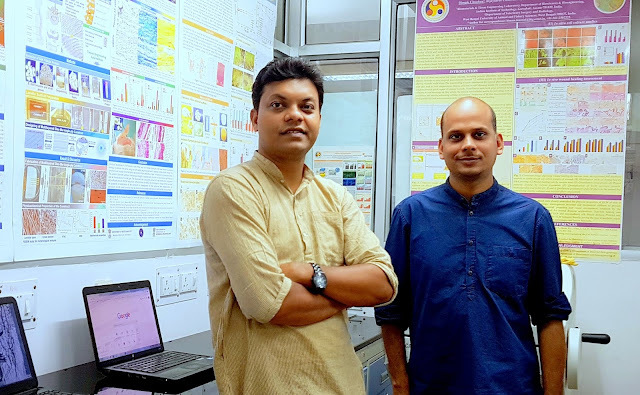 Now Dr. Vishal Rai’s team at Indian Institute of Science Education and Research Bhopal- provides the first modular platform for precision engineering of native proteins. The study was published in the Journal of the American Chemical Society. “Initially, our reagent delivers a reversible intermolecular reaction that places the “chemical linchpins” globally on all the accessible Lys amino acid residues. These linchpins can drive precise covalent labelling of proteins. The linchpin detaches within physiological conditions and provides unique reactivity for the installation of a probe of interest,” said Dr. Vishal Rai. “The technology would provide researchers to install a reporter in a protein for a better understanding of the biological systems. Also, it will help in the development of next-generation protein-based drugs,” he added. Researchers say this methodology could label even a single protein in a mixture of proteins without altering their structures. The team could successfully label myoglobin, cytochrome C, aldolase, and lysozyme C without changing their enzymatic activity. Interestingly, labelling of insulin did not alter cellular uptake and its downstream signalling process. This study is promising and linchpin directed modiﬁcation (LDM) may provide a route for the conjugation of a ﬂuorophore and drug to the antibody for targeted treatments. The study will have a long-term implication on protein-based therapeutics as it enables the regulation of their design. Besides Vishal Rai research team included Srinivasa Rao Adusumalli, Dattatraya Gautam Rawale, Usha Singh, Prabhanshu Tripathi, Rajesh Paul, Neetu Kalra, Ram Kumar Mishra, Sanjeev Shukla. This interdisciplinary study was supported by the Science and Engineering Research Board (SERB). Hook2 is behaving like linker protein—that binds to dynein and dynactin and regulates the function of dynein during cell division. (Right To Left) Dr. Mahak Sharma and her lab member. Indian researchers have revealed regulatory role of a protein in the process of cell cycle progression and separation of newly formed mammalian cells. This study may help understanding uncontrolled cell division related cues because many regulatory proteins of the cell cycle, such as the one that reported in this study, are mutated in cancer cells. Scientists have known that dynein, a molecular machine- that generates force to move cellular cargo from one location to another, plays a crucial role during the cell division especially in dissolving or breaking nuclear envelope and separation of the chromosomes into two daughter cells. However, how dynein simultaneously performs multiple functions at multiple places largely remains an active area of study. 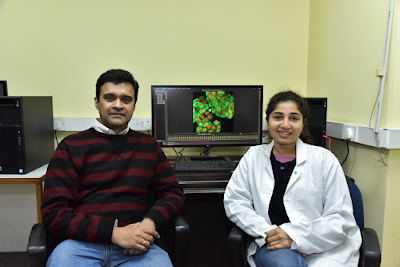 Now in a collaborative study, published in the Journal of Cell Biology, research team of Dr. Mahak Sharma at Indian Institute of Science Education and Research (IISER, Mohali) and Dr. Sivaram V. S. Mylavarapu at Regional Centre for Biotechnology (RCB, Faridabad) - have uncovered the role of dynein binding partner and member of Hook family of protein, Hook2 in regulating specific dynein localization and thereby the tasks associated with these subcellular locations. “We have been exploring the role of a recently characterized family of proteins known as the “Hook proteins” that bind to dynein and regulate its location and cellular function. 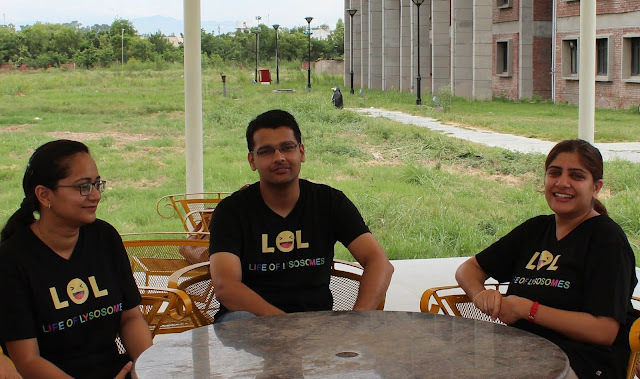 Our gene silencing experiments revealed improper cell division upon loss of a Hook family member, and we started to pursue its role in dynein activation and mitosis,” said Dr. Mahak Sharma, Scientist at IISER, Mohali and study leader in this study. During the separation process of newly formed cells, communication and the material transfer happen by transport of cellular cargo. “The transport itself is executed by the molecular machines or motors that generate force to move cargo on the cellular highways or as scientifically called “microtubule tracks,” explained Devashish Dwivedi, the first-author of the study. In this study, microscopic imaging of cultured human cells were performed to determine the defects in cell division process when cells were depleted of the dynein or its newly identified regulator. “We observed that Hook2 is behaving like linker protein—that binds to dynein and dynactin and regulates the function of dynein during cell division,” said Dwivedi. “Earlier studies have reported chromosomal translocations in the Hook protein in various cancer cells. Since unregulated cell division is a hallmark of all cancer cells, our findings might provide a partial explanation of why such changes in Hook2 gene locus might be a contributing factor in governing cancer progression,” added Dr. Sharma. A new technique that promises to produce hydrogels that could be used for a variety of applications like cleaning of industrial wastewater. A team of scientists at the Bengaluru-based Jawaharlal Nehru Centre for Advanced Scientific Research (JNCASR) have developed a new technique that promises to produce hydrogels that could be used for a variety of applications like cleaning of industrial wastewater. The method involves self-assembly of tiny cubes of metal-organic compounds into hydrogels with the help of molecular binders. The make-up of the resulting hydrogel depends on the size, shape and geometry of the molecular binder. For instance, when researchers used cationic ammonia-based molecular binder, the resulting hydrogel had a nano-tubular shape with negative charge on its surface. It can be used as a gel-chromatography separator to separate cationic species from their anionic counterparts from any material. This hydrogel can bind different types of metal ions including toxic heavy metal ions.The researchers have tried it out with waste water samples containing dyes. When they passed the samples through a column of the hydrogel, the dye with positive charged got attached to the surface and cleaner water flowed out. “The hydrogel is responsive to changes with the acid and base content of the water. Addition of acid breaks the gel. It again reconstructs upon addition of alkaline solutions. This means the hydrogel can be reused multiple times by just changing the acid level. This could bring down the cost of wastewater treatment substantially. Further, the separation was found to be much faster than the conventional methods,” explained Prof. Tapas Maji, leader of the research team, while speaking to India Science Wire. The second hydrogel was developed with a binder based on an organic chromophore, tetraphenylethene. It turned out to be highly photo-responsive. “The cyan colour emitting hydrogel can be used in writing. It will be visible only in ultraviolet light. It could have immense application for agencies dealing with highly sensitive documents,” Dr. Maji added. 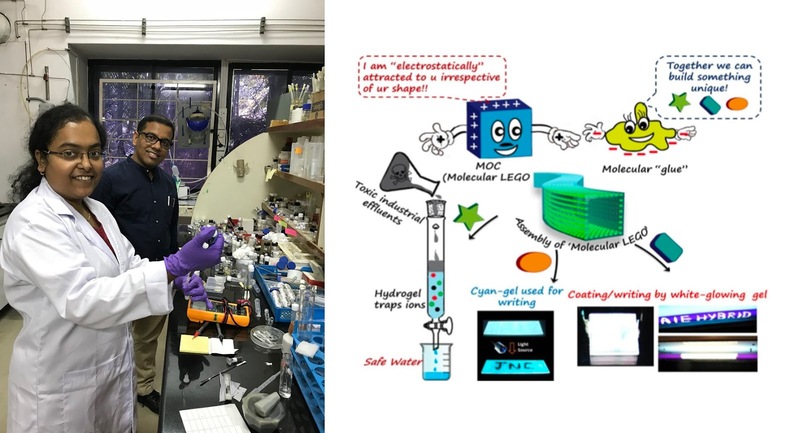 Further, the group has developed a tri-component white light emitting hydrogel based on two different molecular binders. It can find potential application as white light-emitting substance. Apart from Maji, his colleagues Papri Sutar, Venkata M. Suresh, Kolleboyina Jayaramulu and Arpan Hazra were involved in the work. The research results have been published in journal Nature Communication.The project was partly funded by Science and Engineering Research Board. Scientists at New Delhi-based National Institute of Plant Genome Research (NIPGR) have deciphered critical role of a single gene - SlDEAD35 - in tomato plant whose expression controls its response to both heat stress and viral infection. While trying to understand genetics of stress to make tomatoes and other crop plants more productive, Indian researchers have identified a gene that helps tomato plant tackle pathogens as well as heat stress. It has been known that RNA helicases, one of the largest gene families that function in almost all aspects of RNA metabolism, play a role in growth, development and stress response of a species. They are present in most of the organisms ranging from bacteria to humans, and plants. However, its role in tomato plant’s response towards environmental stresses is not known. The NIPGR team has observed that two genes (SlDEAD23 and SlDEAD35) help plants to withstand biotic and abiotic stresses. “We had looked into the transcriptome dynamics of a tomato variety tolerant to Tomato leaf Curl New Delhi Virus infection. Comparative transcriptome analysis of virus infected as well as uninfected plants showed a significant up regulation of one DEAD-box RNA helicase gene which prompted us to go for its characterization,” explained Dr. Manoj Prasad, who led the research team. “We find that SlDEAD35 gene plays crucial role against virus as well as heat stress, which might provide the framework for improved yield and tolerance against combined stress in tomato,” he added. Developing systems for tolerance or resistance against combined stresses is important for future crop production. “We have found a candidate gene which might provide the framework to understand the science behind plants’ response against combined stresses. We can introduce the gene through molecular breeding to develop varieties for the combined stress tolerance in tomato,” said the lead author, Saurabh Pandey. The results have been published in journal Environmental and Experimental Botany. 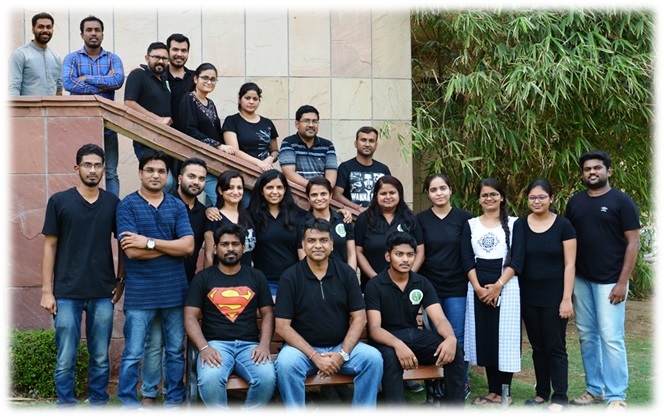 The team included Saurabh Pandey, Muthamilarasan, Namisha Sharma, Vaishali Chaudhry, Priya Dulani, Shweta, Sarita Jha, Saloni Mathur and Manoj Prasad. A bio-compatible polymeric material that promises to help in the simultaneous and extended release of two different drugs from a single platform. 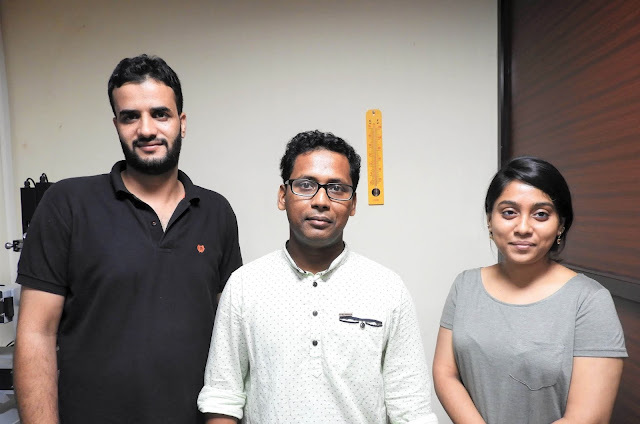 A team of researchers at Indian Institute of Technology, Guwahati has developed a bio-compatible polymeric material that promises to help in the simultaneous and extended release of two different drugs from a single platform. Combination of two or more drugs is increasingly becoming necessary to address drug resistance and treat cancer and neurological disorders. During severe infection, defense mechanism of the body gets activated at multiple levels and single-molecule drugs can’t control multistage complications. Providing for extended and controlled release of more than one drug molecule simultaneously is challenging. Materials in use to carry molecules tend to have high affinity towards water. As a result, when a drug is delivered, water molecules in the body infiltrate drug-loaded matrix quickly resulting in fast diffusion and release of drug molecules. The new material developed by the IIT-Guwahati team promises to address this issue. The new polymer mimics the chemistry and features of lotus leaf which make it to repel water. This helps in controlling the rate of infiltration of water molecules and thus allows release of drug molecule in a sustained manner. Speaking to India Science Wire, Dr. Uttam Manna, a member of the study team, said, “our study has introduced a new general basis for loading and release of various combinations of bioactive molecules. This approach will eventually help to combat challenges related to improved efficacy of drugs and resistance. We hope such material would be useful in controlling multiple diseases as well”. The team is in the process of developing an implant for dual and controlled drug delivery using natural polymers. The study was performed in the collaboration with Dr. Biman B. Mandal’s research groups, IIT-Guwahati. Besides Dr. Manna, the team included Adil M Rather, Arpita Shome, Bibhas K Bhunia, Aparna Panuganti, and Biman B Mandal. The study results have been published in the Journal of Materials Chemistry B. Study suggests each Cell senses the force and regulates the CLIC/GEEC pathway to maintain membrane homeostasis. We are made up of trillions of cells and they use endocytosis to take up nutrients and growth factors. Endocytosis is a process by which a cell makes small vesicles or bags to take in nutrients from the outside environment. In order to maintain its shape and size, a cell has to maintain the area of its plasma membrane. Endocytosis decreases the plasma membrane area while the reverse process, exocytosis adds it. A cell needs to balance the two to maintain homeostasis. Imagine removing the membrane bit by bit using endocytosis, the cell will end up shrinking. This means the cell membrane will tense up slowly as the rate of endocytosis is increased. To relieve this tension, the cell needs to lower its endocytosis or increase its exocytosis. Thus, apart from taking nutrients, endocytosis helps in maintaining the shape and size of the cell. Now, Prof. Satyajit Mayor’s team has shown how cells regulate this membrane tension using a novel endocytic pathway called the CLIC/GEEC or CG pathway. The study done by lead author Joseph Jose Thottacherry shows that the CG endocytosis is intimately connected to membrane tension by sensing and responding to changes in membrane tension. “We have shown that increase in endocytosis increases the membrane tension. When we perturb the pathway to decrease endocytosis it decreases the tension. Thus, addition and removal of membrane directly influence the tension of membrane” said Joseph Jose Thottacherry. The results of this study were published in the journal Nature Communications. Traditionally, endocytosis requires a coat protein to bend the membrane that forms a cage-like structure, and another protein to cut the vesicle. However, the CG pathway, unlike the traditional pathway, works without the coat raising the question, how would a cell bend its membrane for making vesicles? 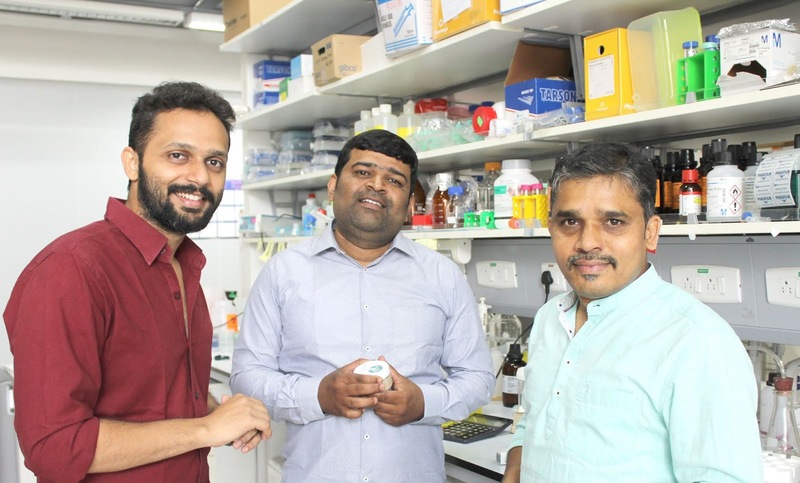 This was worked out in another published report in Nature Communications from Prof. Mayor’s lab by lead authors Dr. Mugdha Sathe & Gayatri Muthukrishnan. They found that in the absence of a coat, the cell uses membrane curvature sensing proteins that recognize convex and concave kind of curvatures. They find two proteins called PICK1 (convex) and IRSp53 (concave) that help in vesicle formation by bending the membrane. So what is this CLIC/GEEC pathway important for? Earlier studies have shown that many viruses use this pathway to enter the cells. This pathway is also involved in fruit fly wing development and cell migration. Now, it has been shown that it can help with plasma membrane homeostasis. Since this pathway is involved in cell migration, it can be involved in spreading of cancer cells to different organs during metastasis or immune cells chasing pathogens. Thus, these two studies are promising and show the importance of understanding non-traditional pathways for their potential translational value. This study was carried out at National Centre of Biological Sciences (NCBS), Bangalore. The research work was funded by Wellcome Trust-DBT India Alliance and Dept. of Science and Technology (DST), Govt. of India. This report was prepared with the help of lead authors Dr. Mugdha Sathe and Joseph Jose Thottacherry. at the James Hutton Institute, lights a lamp during the inauguration of the project. Researchers from the Indian Institute of Science (IISc) are collaborating with their counterparts from a consortium led by James Hutton Institute, University of Glasgow and the Ashoka Trust for Research in Ecology and the Environment (ATREE) on a project funded by Scottish Government to deliver a low-cost, decentralized wastewater treatment system. The pilot facility has been set up in a school – the Berambadi Primary School in the Chamarajanagar district of Karnataka – to serve the needs of its students and staff. It was inaugurated on 28 November 2018 by Scotland’s Deputy First Minister Mr. John Swinney during an official visit to India. At the launch, Mr. Swinney said that it was Scotland’s duty to share its expertise and experience in the area of wastewater treatment with the wider world. Rachel Helliwell, Project Coordinator and a senior research scientist at the James Hutton Institute in Scotland, added that the initiative, which aims to improve public sanitation and environmental health in rural India, drew on the academic and research excellence of scientists from both Scotland and India. Following a screening of a short film tracing its journey, the event saw an interactive session on the lessons learnt from the project and the potential for new partnerships in wastewater treatment. Lakshminarayana Rao, the lead researcher from IISc, says that the choice of a rural primary school to house the plant was a deliberate one. “Rural schools in India have a mid-day meal scheme. There’s a lot of wastewater coming from the kitchen and handwash. This is a low-hanging fruit because this water can be recycled to be used in toilets for flushing,” he explains. Most wastewater we generate is called grey water (wastewater that does not originate in toilets). By contrast, wastewater which contains faeces and urine, and therefore pathogens, is referred to as black water. To recover grey water, the Berambadi project uses, among other methods, plasma technology developed by Rao’s team at IISc. “We’re using a component of plasma to generate ozone which disinfects the water,” he elaborates. 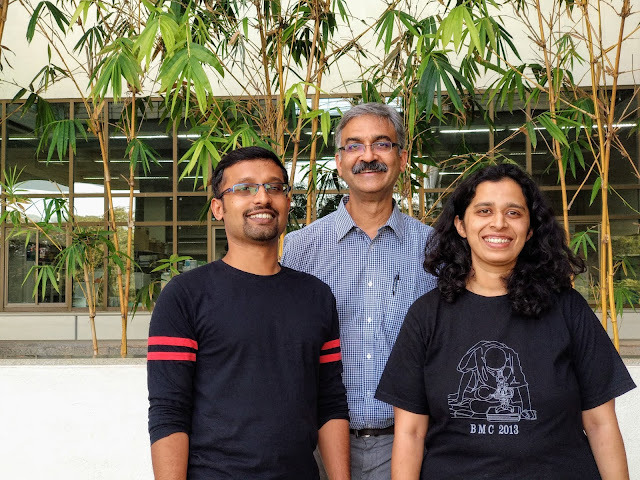 His lab has developed a high-throughput ozonator which provides large volumes of ozone while ensuring that its energy demands are lesser than conventional technologies. On the other hand, black water is treated before it is discharged by a multi-step anaerobic digestion process developed by the Scottish water scientists. This ensures that neither the groundwater nor the river downstream is contaminated. A critical feature of the project, which began over a year-and-a-half ago, has been its engagement with the local community. It has been designed keeping in mind the local socio-cultural and economic conditions as well as sanitation behaviours. “This initiative is hugely exciting because it integrates social science and new technologies to deliver on an ambitious and important Sustainable Development Goal: providing clean water and sanitation for all by 2030,” says Helliwell. Rao believes that this modular system can be replicated as well as scaled up. He says that these decentralised plants can also be built in urban settings like apartment complexes and educational institutions, especially those with hostels. According to him, by merely combining a grey water recovery system with a rainwater harvesting plant, the use of fresh water – which he describes as a luxury for a country like India – could go down by as much as forty percent. NIPGR organized an Open day for the general public in order to popularize research in plant sciences and its applications. On October 26, 2018, New Delhi based National Institute of Plant Genome Research (NIPGR), an autonomous institute under the Department of Biotechnology, Government of India, had organized an Open day for the general public in order to popularize research in plant sciences and its applications. In this event, a total of 1079 students participated along with their teachers. Among the participant, 958 were school students from 30 different government and private schools and 121 college students from 3 colleges. The NIPGR community presented 31 posters and 18 exhibits on various aspects of life sciences in general and plant sciences in particular. “The open day is an opportunity for NIPGR to open its doors to the local community and contribute towards inculcating in students a passion for science,” said Prof. Ramesh V. Sonti, Director at NIPGR, New Delhi. NIPGR scientists, technical specialists, and young researchers explained in very simple language about ongoing plant research activities in the institute. They covered various aspects of plant sciences including photosynthesis, ecological nitrogen fixation, plant-pathogen interactions, crop yield improvement etc. Various posters, exhibitions, and practical demonstrations like how to isolate DNA from plants, how to visualize protein and DNA in gel etc. were arranged to provide real experiences of a working molecular biology laboratory. The visitors were also provided a tour of the research facilities at NIPGR, where they were explained about the working of various scientific instruments like the Confocal Microscope, automated DNA Sequencer, PCR, Real-time PCR, central instrumentation facility etc. School students got an opportunity to witness the banana plant tissue culture techniques for a better understanding of working with plants in the laboratory. Students were also shown plant cells under the foldscope microscope. They were shown videos clearly demonstrating how plant stem cells look like under advanced microscopes. Day-Long activities and interactions with NIPGR researchers have sensitized and inspired students and teachers about the opportunities in plant sciences, particularly in plant molecular biology. IIT-Guwahati researchers developed an injectable gel using silk proteins to deliver insulin-producing cells needed to address type-1 diabetes. Researchers at the Indian Institute of Technology, Guwahati have developed an injectable gel using silk proteins to deliver insulin-producing cells needed to address type1 diabetes. The gel has been tested in rats. Normally islets in the pancreas are surrounded by the extracellular matrix which provides structural and biochemical support to cells. The components of this matrix bind to transmembrane proteins on the islet surface to facilitate cell to cell connection, proliferation and insulin secretion. Previous studies had suggested hydrogels have potential to deliver islets as they contain high water content and mimic hydrophilic content of extracellular matrix. However, use of harsh chemicals in making gels makes them unsuitable to deliver cells or bioactive molecules. To address this problem, researchers used mixture of two silk proteins (mulberry Bombyx mori and non-mulberry Antheraea assama) which leads to self-gelation. Insulin-producing islet cells were harvested from rats and encapsulated in the hydrogel. The hydrogel was loaded with immunosuppressive drugs to prevent immune rejection. It was then injected under the skin of rats. “The islet delivery matrix could be easily injected in a minimally invasive manner while maintaining islet cell viability and glucose-responsive insulin production at the transplantation site. The hydrogel could be highly affordable as raw materials for making the hydrogel are abundantly available,” said Dr. Biman B. Mandal, who led the research. The development, he said, is promising as it may help type 1 diabetes patients to get rid of frequent insulin injections in future. The research team included Manishekhar Kumar, Prerak Gupta, Sohenii Bhattacharjee and Biman B. Mandal (IIT- Guwahati); AND Samit K. Nandi (West Bengal University of Animal and Fishery Sciences, Kolkata). The study results have been published in journal Biomaterials. Indian farmers usually do not wear any protective gear while spraying chemicals in farms. This exposes them to harmful toxins contained in pesticides, causing severe health impacts and even death in extreme cases. Indian scientists now develop a protective gel to address this problem. Indian farmers usually do not wear any protective gear while spraying chemicals in fields. This exposes them to harmful toxics contained in pesticides, causing severe health impacts and even death in extreme cases. Indian scientists have now developed a protective gel to address this problem. The gel can be applied on skin and can break down toxic chemicals in pesticides, insecticides and fungicides including the most hazardous and widely used organo phosphorous compounds. The gel deactivates these chemicals, preventing them from going deep into the skin and organs like the brain and the lungs. It has been found to be effective in tests done in rats and researchers hope to soon test it in humans. Exposure to chemicals contained in pesticides interferes with an enzyme called acetylcholinesterase (AChE) which is present in the nervous system and is critical for neuromuscular functions. When its functioning is disrupted by chemical pesticides entering the body through the skin, it can cause neurotoxicity, cognitive dysfunction and even death in severe cases. When the gel was applied on rats and they were exposed to a lethal dose of pesticide MPT, it did not lead to any change in their AChE level, showing it could prevent penetration of the pesticide into the skin. The gel, named poly-Oxime, has been prepared by researchers at the Institute for Stem Cell Science and Regenerative Medicine (InStem), Bangalore from a nucleophilic polymer. In lab studies, rats treated with poly-Oxime gel survived pesticide treatment, whereas rats with no gel or sham gel showed symptoms of poisoning or died. The results of the study were reported in journal Science Advances on Thursday. The gel does not act like a physical barrier, but it acts like a catalyst to deactivate organophosphate. An oxime could hydrolyze multiple organophosphate molecules, one after another. And it can do so at temperatures ranging from 20 to 40 degrees, and even after long exposure to ultraviolet light. “Our data suggests that a thin layer of poly-Oxime gel can hydrolyze organo-phosphates on the skin; therefore, it can prevent AChE inhibition quantitatively in blood and in all internal organs such as brain, lung, liver, and heart,” the study notes. It has also been found that the catalytic gel can work against a range of commonly used commercial pesticides, insecticides, and fungicides. “At present, we are conducting extensive safety studies in animals which will be completed in four months. Subsequently we plan a pilot study in humans to demonstrate efficacy of the gel,” Praveen Kumar Vemula, a senior member of the research team, told India Science Wire. As the next logical step, the research group plans to develop an active mask to deactivate pesticides since the gel now developed does not provide any protection from inhalation of pesticide vapours, according to Vemula. In order to understand the problem of toxicity caused by pesticides, researchers interacted with several farmers and their families. While many of them said they experienced pain right after spraying pesticides, they had no access to protective means. Farmers, according to researchers, showed willingness to adopt any low-cost topical methods that can prevent pesticide exposure. The research team included Ketan Thorat, Subhashini Pandey, Sandeep Chandrashekharappa, Nikitha Vavilthota, Ankita A. Hiwale, Purna Shah, Sneha Sreekumar, Shubhangi Upadhyay, Tenzin Phuntsok, Manohar Mahato, Kiran K. Mudnakudu-Nagaraju, Omprakash Sunnapu and Praveen K. Vemula. Study will help to better understand the pathology of PHARC and it might enable development of much-needed biomarkers, very long chain lipids, for better diagnostics. PHARC is a rare genetic human neurological disorder caused by mutations to the Abhd12 gene, which encodes the integral membrane serine hydrolase enzyme ABHD12. Recent studies have shown that mice without ABHD12, murine model of PHARC, show increased concentrations of lyso-phosphatidylserine (lyso-PS) lipids in brains. Now Indian researchers, using mice model, have found the biochemical explanation for such very long chain lipids accumulation in the brain. Dr. Siddhesh S. Kamat’s team at Indian Institute of Science Education and Research (IISER), Pune - have shown that the enzyme ABHD12 has a strong substrate preference for very long chain lipids which contains ≥ C22 atoms. “We first chemically synthesized a library of lipid substrates ranging from fatty acids C10 – C24 with different degrees of un-saturations. Next, we performed enzyme kinetics studies for this lipid library against recombinant human, and endogenous mouse brain ABHD12, and found in both cases that there is a preference for very long chain lipids,” said Dr. Siddhesh S. Kamat. “Our study will help to better understand the pathology of PHARC and it might enable development of much-needed biomarkers (very long chain lipids) for better diagnostics for this condition,” he added. “This work is a classic illustration of the value of a biochemical approach in understanding what a clinically important protein actually does in cells. This biochemical characterization reveals a very broad substrate choice for this important protein, and also explains how cells can maintain an appropriate balance of long-chain lipid substrates. This can now be used to identify activators or inhibitors of this enzyme,” commented Dr. Sunil Laxman from InStem, Bangalore, who was not associated with this study. The research team included Alaumy Joshi, Minhaj Shaikh, Shubham Singh, Abinaya Rajendran, Amol Mhetre and Siddhesh S. Kamat from IISER Pune. This study was supported by Wellcome Trust DBT India Alliance and DST-FIST infrastructure development grant.